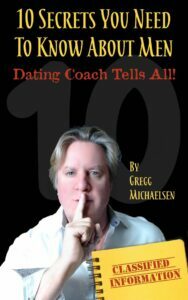 Indie author Gregg Michaelsen‘s self-publishing success is in a very clearly defined genre – he RULES the dating advice genre, having sold a quarter million books! He is a multiple #1 best-selling author, dating coach, and life coach, and says that being both gives him an incredible advantage with the people he touches. 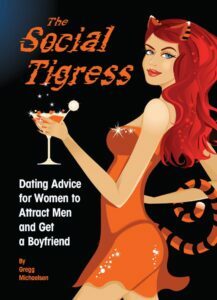 He helps women (and men) succeed in both their dating and everyday lives, and encourages his readers to contact him through his books and get answers for free. Gregg’s motto: Build Yourself and He Will Come. – all qualities that will stand any indie author in good stead – as our interview makes clear. Helping women build their confidence and hearing their success stories! I take 30-50 emails per day through my books, from my readers, for free, and it never gets old. Quitting the rat race to start pursuing my passion for writing and helping people and never looking back. This has made me a very happy man. Hmm. My biggest surprise was the avalanche of sales that I made with my first book. I didn’t even have an editor! 250,000 sales later, I’m still in shock. Trying to help everyone is my greatest challenge. Then, trying to convince women that if they would ONLY try my advice, that they could change their lives. It’s aggravating when women have the tools and the roadmap, but they just can’t get over the hump – if I could just be able to spend more time with them. I stop writing for a few days and I seek nature. Just a simple walk through the woods all alone can reinvigorate me! I talk to my VA (virtual assistant) Kirbie. She and I bounce ideas back and forth. Some of my best writings have come from these talks! I set goals! Then, I reward myself for my achievements and reflect on what I can do better. I do what I preach. If it doesn’t work for me then I can’t, in good conscience, tell others to do it. This makes for a great life coach. Seeing others accomplish their goals and being able to work from anywhere in the world. My next book: Night Moves, The Science of Making Him Fall in Love. 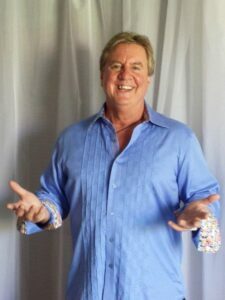 Gregg is a multiple #1 best-selling author, dating coach, and life coach who helps women (and men) succeed in both their dating and everyday lives. When not answering emails from his readers, Gregg loves jet skiing, surfing, hanging out under the palm trees in West Palm, and catching up with his mom at 5 am. His Dad was a life coach, before they were even popular, and coached Gregg. He just completed a video shoot with world renowned dating/relationship expert Dr. Helen Fisher in NYC. He credits his three older sisters as the reason why he understands women so well. He gives to The Wounded Warrior Project and animal shelters. 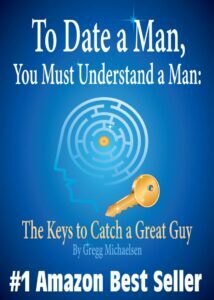 Gregg is currently working on his latest book that helps women truly understand men so they can acquire what they want by communicating in a language that men understand. Exciting stuff! Visit Gregg at www.whoholdsthecardsnow.com/blog/.